ImagePro USB Camera is a perfect borescopic camera for most medical, veterinary and industrial applications. ImagePro USB camera allows you to view the live image on your computer or laptop without recording, or capture images/video directly to your hard drive. The live image is displayed in the viewing software, which has an intuitive menu and features simple capture buttons. The camera has USB interface making it easy to establish a connection between the camera and your PC. The light weight camera body contains a ¼” COLOR CCD image sensor, which provides 720 x 480 pixels of resolution. 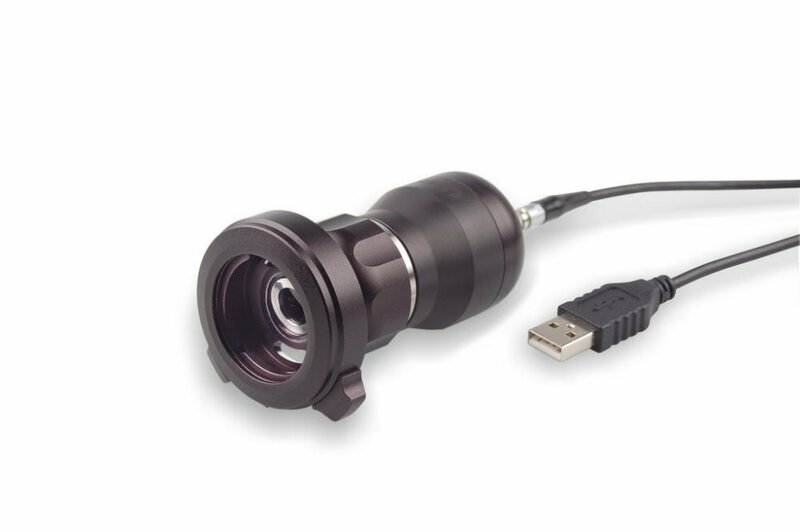 The camera package comes with a LEMO/USB Cable, a CD with the drivers and viewing software, a focusable coupler to connect the camera unit to virtually any borescope.